As you read in the previous post about Aloha Bars Maui, the owner Kirsty Sinclair has another business. With the whole Photo Booth craze happening at weddings, she decided to go the luxury route with her first Photo Booth setup. 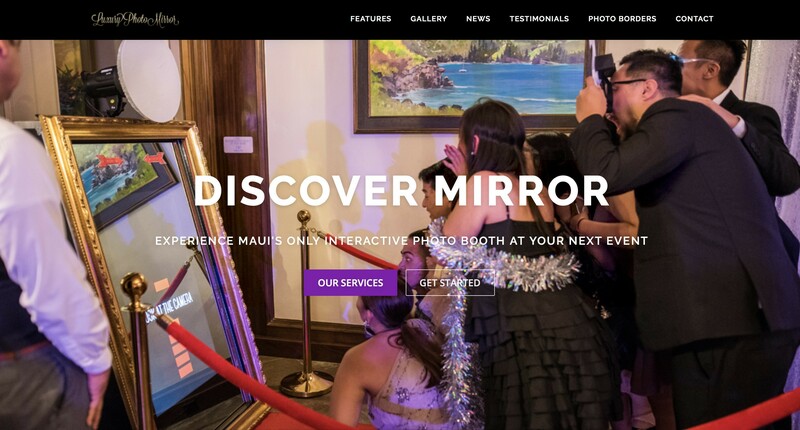 Comes Luxury Photo Mirror, a Giant Mirror that is a Photo Booth, this setup has been featured at the Ritz Carlton Kapalua, Grand Wailea, Four Seasons Wailea, Fairmont Kea Lani… Pretty much all the luxury resorts on the Island of Maui. Most marketing efforts for Luxury Photo Mirror have been SEO optimization while the website was created, Content Marketing and automated Social Media Marketing. This being a niche market, as most weddings would be looking for a simple and more inexpensive Photo Booth. Being a sister company of Aloha Bars Maui, we decided to use the same WordPress CMS and theme. That way It makes it easier for the client to update, and only learn one interface instead of multiple that could become confusing. 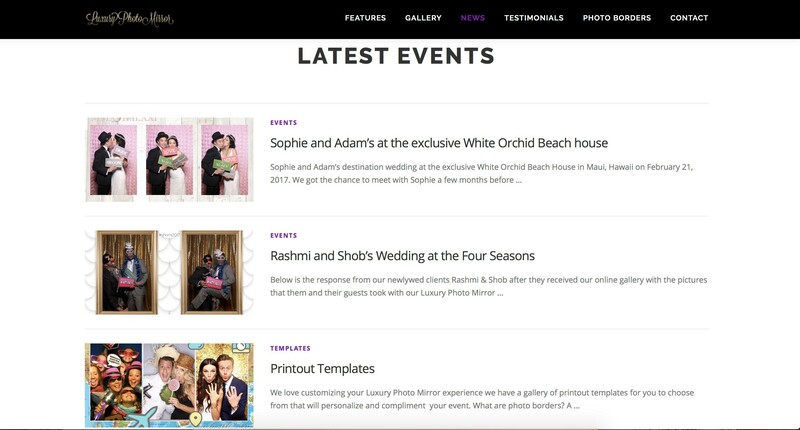 Event showcase is the main type of marketing chosen by Luxury Photo Mirror, it makes it easy for couples to “picture themselves” in the same setup for their own wedding. Definitely a great time for all the guests, it has been a growing venture, and now the owner of the business is looking at other segments of the Photo Booth market to enter. The tourism industry and specifically the destination wedding industry is such. huge part of Maui’s economy, Kirsty Sinclair and her Partner Del are building a group of services providing couples with the best experience during their big day, we are in charge of the website development for all these ventures, so you will find more during our upcoming case studies. You can visit the website, and go on the facebook page to see more.